I now have two of these, having recently bought a second (Mark I version, below) of the camera which appears to be working fine. According to a panoramic timeline (I once found online, now gone), the Cyclops Wide-Eye was made in America in the early 1990s. 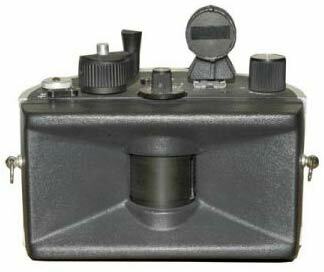 I've been told that my first Cyclops, the model below, is a Mark II version of the camera. I bought it from ebay with no guarantee that it was working. It turned out to have a loose lens element which I fixed but taking the camera apart caused more problems and currently I've given up on the clockwork mechanism and my plan is to motorise it. 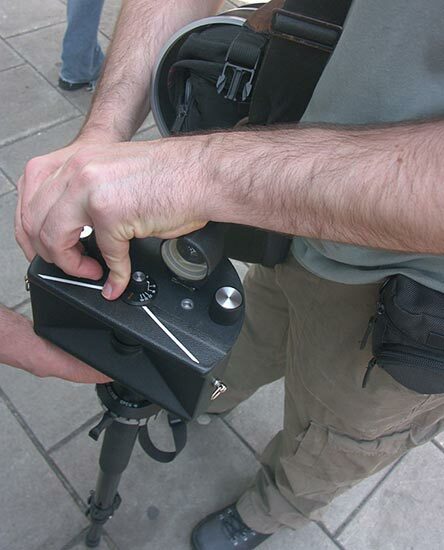 It takes 120 roll film giving 4 shots per roll (nice big 6x17cm negatives). 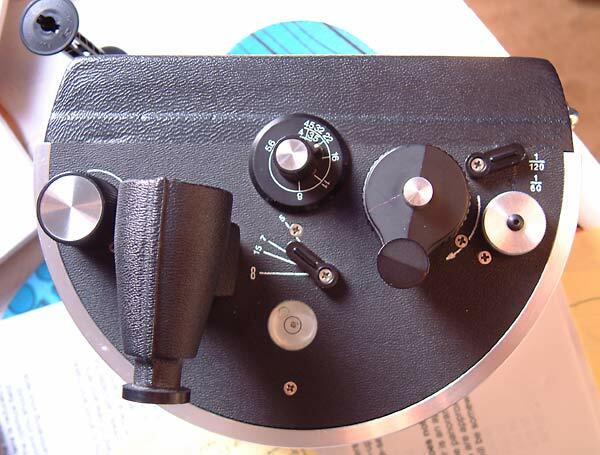 On the top (pictured below) you can see the focus lever in the middle - this moves the film plane in and out, above that is the iris control. On the right is the shutter speed lever (1/60th or 1/120th) and to the left of that is the crank to wind up the clockwork. 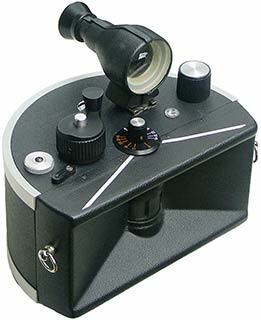 On the left is the viewfinder and film advance knob. The white circle is the bubble level. The Mark I is similar but doesn't have focussing, the lens is 83mm (rather than 80mm) and only opens to f8 (as opposed to f5.6 on the Mark II). Unfortunately most of the body is plastic and it doesn't come apart very easily. The front plastic is very thin and was glued to the top and bottom pieces (it's currently held on with gaffa tape). Below is one of the pictures I took after the first repair effort. The next picture is more recent. Apart from another similar picture, the rest of the batch were ruined by the lens not swinging fully. This one is a bit spoiled by flare but I like it enough to want to persevere with repairing the camera (although now I've got the Mk. I, that project is on the back burner).